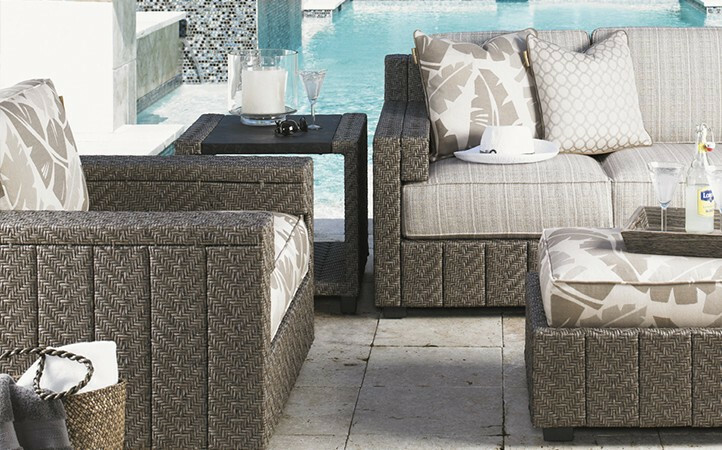 Defined by its distinctive channeled herringbone design of all-weather wicker, the savvy styling, clean contemporary lines and luxe comfort creates a new benchmark for today’s al fresco entertaining. 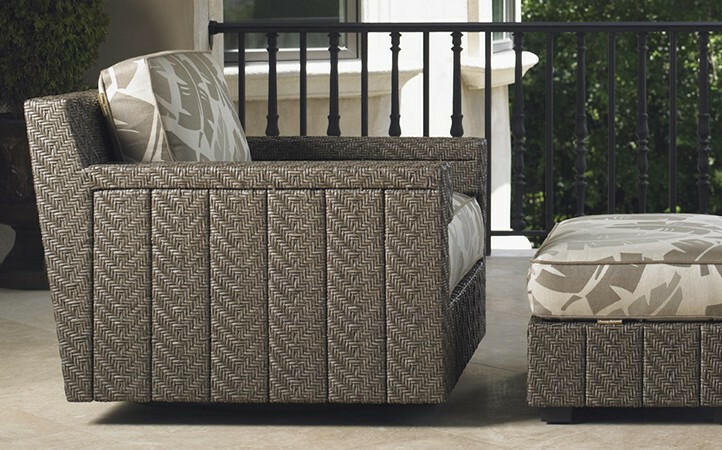 Aluminum frames feature a unique textured finish, covered in an exclusive Tommy Bahama coloration of synthetic wicker that fuses five distinct hues into each strand. 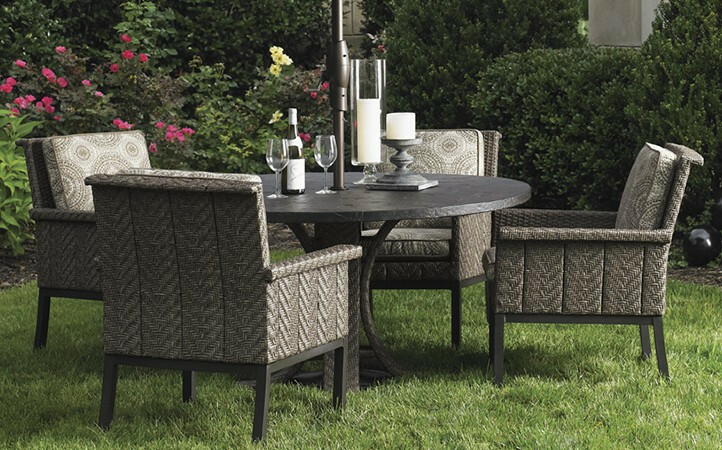 Weatherstone™ tops replicate the look and texture of natural slate, while plush WeatherGuard™ cushions provide remarkable comfort and durability.